There are a lot of issues that women in general face that men in the room don’t understand. 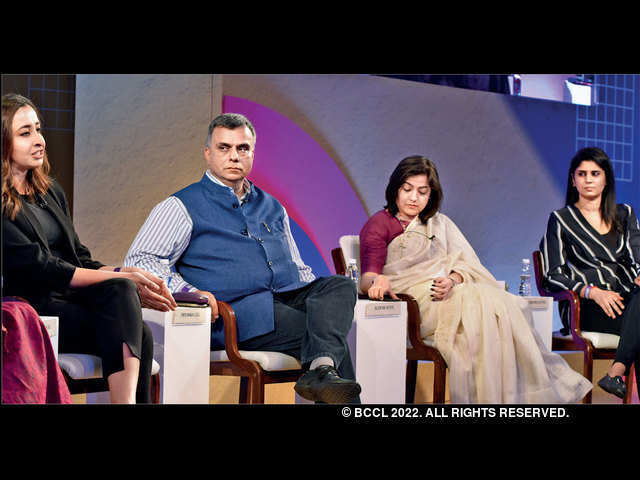 The march of women into India’s entrepreneurial space is underway, but more opportunities, greater self belief and a higher number of role models are required for their growth in this sector, industry captains said at the ET Women’s Forum. Sudhir Sethi, founder of venture capital firm Chiratae Ventures, said that 14% of the founders of companies it has invested in are women. Two years earlier it was 9%. 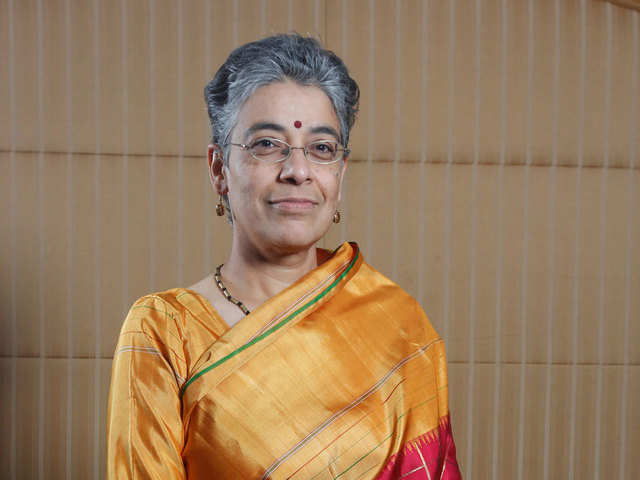 Saloni Malhotra, vice-president of Invest India, a partly state-owned investment promotion and facilitation agency, said 65% of the workforce is women. 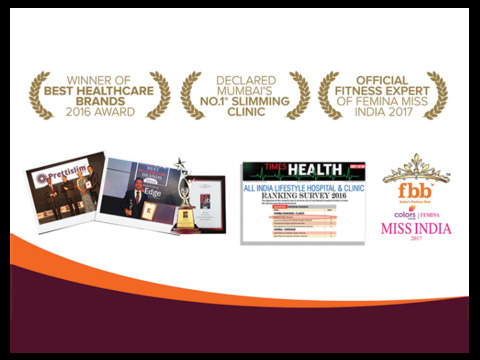 Anjana Reddy, CEO of Bengaluru-based fashion startup Universal Sportsbiz, said 60% of the company’s leadership team consists of women. Priyanka Gill, founder of POPxo, a digital media startup for women, said 65% of its top managers are women. Chiratae is an investor in POPxo. 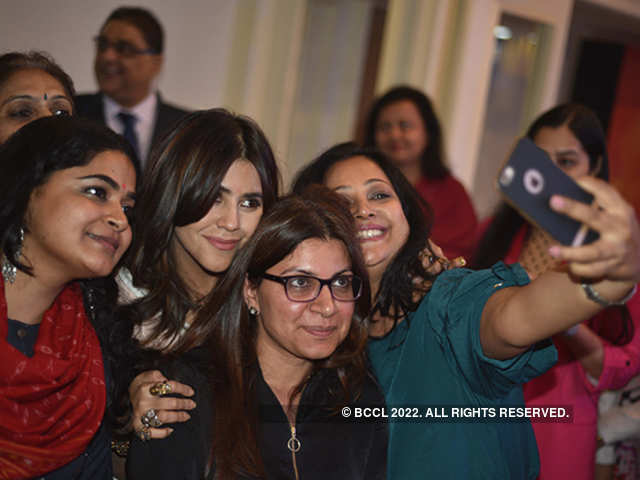 From left: Film director Ashwiny Iyer Tiwari, producer Ekta Kapoor, director Alankrita Srivastava and director Nupur Asthana pose for a selfie at the forum. 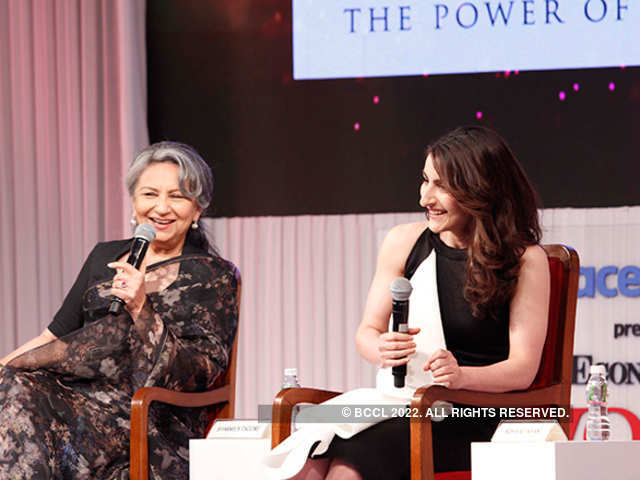 Mother-daughter duo, actresses Sharmila Tagore and Soha Ali Khan shed light on balancing work and life, then and now. 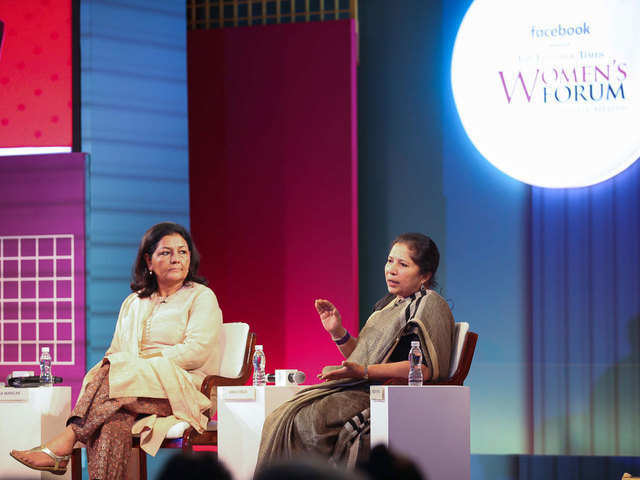 From Left: Mountaineer Premlata Agarwal, mixologist Shatbhi Basu and DRDO’s Shashikala Sinha spoke on breaking stereotypes in career choices at the ET Women's Forum. 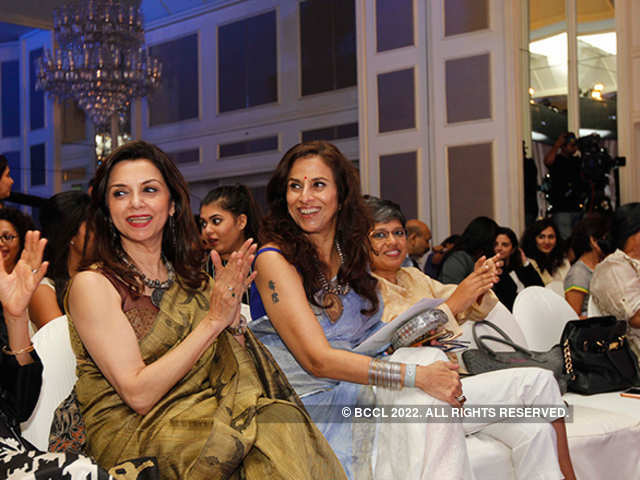 Actress Lillete Dubey (L) and author Shobhaa De applaud the views expressed during a panel discussion at the forum. While the speakers agreed the overall numbers of women leaders in the sector needed to grow, success wasn’t skewed to gender per se. “I don’t think it’s gender but DNA, conditioning and how you are built,” said Gill. Nor did it specifically influence funding, said Sethi. “Capital will run after competence. 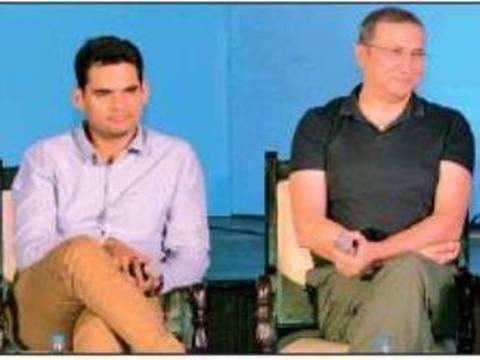 If there is some affirmative action required, it must be the food chain which is early on, not at this stage,” he said. “When we set up BPOs and KPOs in small towns and villages, we used to get 100% resonance from women sometimes. 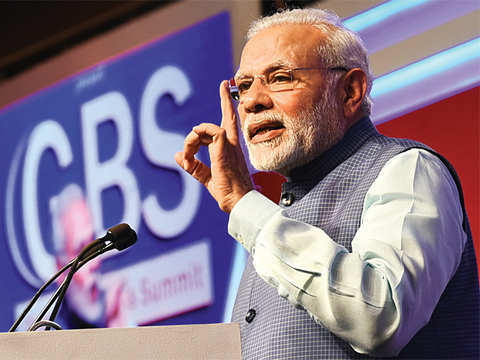 Once we did it for three years, we would see men applying for the jobs, because then they considered it to be a stable, good option to work in those areas,” said Malhotra. 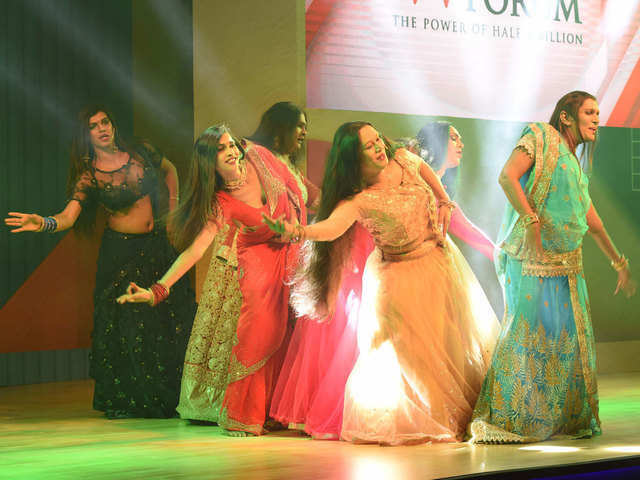 India’s first transgender music band, 6 Pack Band, kick-started the event with an enthralling performance. 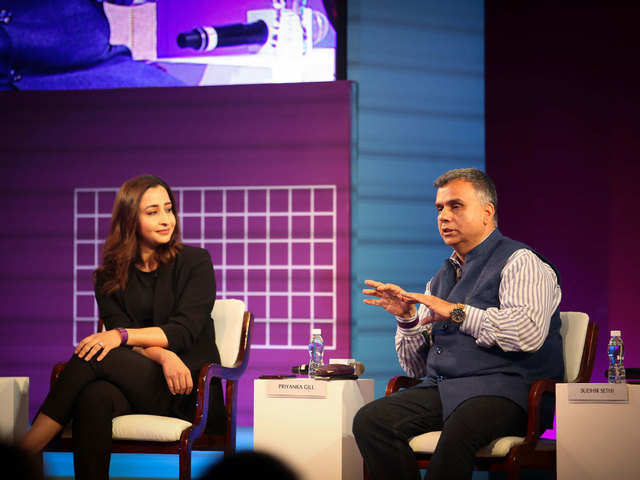 Priyanka Gill, CEO, POPxo and Plixxo (L), and Sudhir Sethi, chairman, Chiratae Ventures, discuss start-up culture in India. 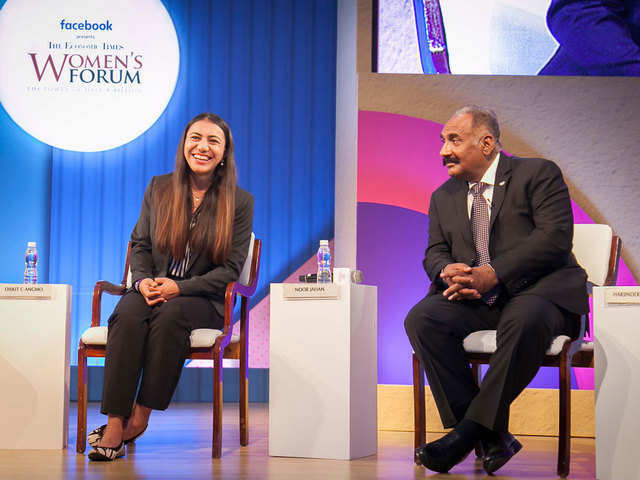 Noor Jahan, goalkeeper, Indian ice hockey team, and Harjinder Singh Jindi, general secretary, Ice Hockey Association of India, have a light-hearted moment at a panel discussion on sports. Kanta Singh, (L) Gender Lead, United Nations Development Programme, and Sanchita Mitra of SEWA Bharat talk about mentoring the next generation of entrepreneurs in the country. 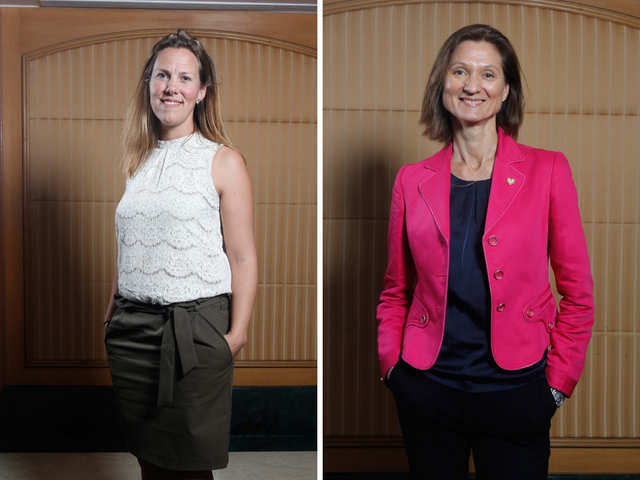 Birgit Liodden (L), Director of Sustainability, Ocean Industries & Communication, Oslo Business Region, strikes a pose at the event after her power-packed session on going beyond the #MeToo movement. Marianne Hagen (R), Deputy Minister for Foreign Affairs, Norway, also poses for shutterbugs at the forum. Independent director Ireena Vittal, stops for the cameras before her panel discussion on women in the boardroom during the forum. 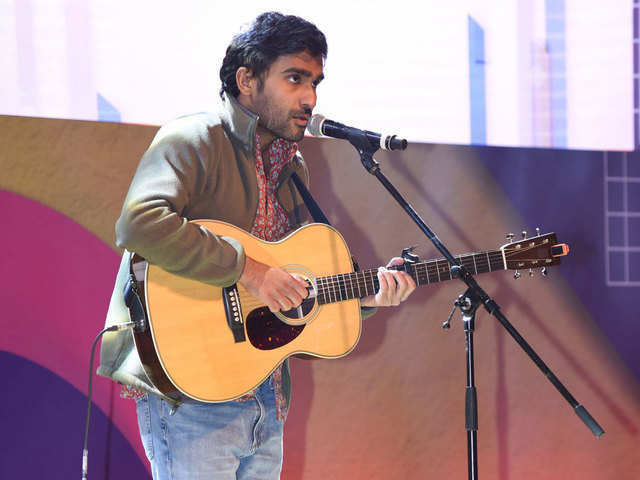 Singer Prateek Kuhad brought the power-packed day to a close as he serenaded the audience at the closing ceremony. 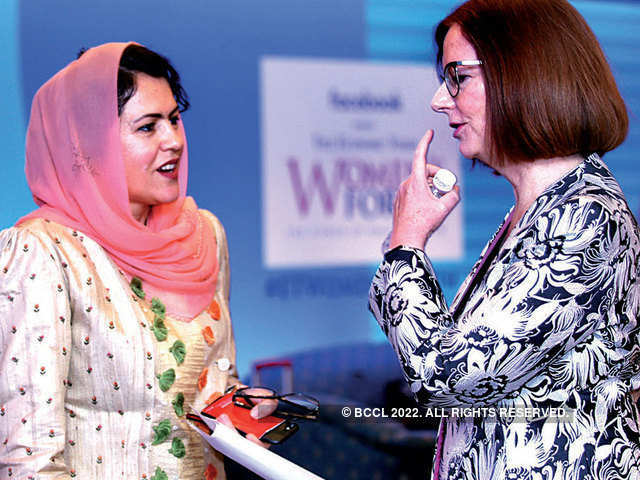 Fawzia Koofi and Julia Gillard engage in conversation during the forum. “Scale is important. Scale is something you have to love, enjoy and live with since this is a venture-funded game. You have lovely investors who want to back you but they also want their return on investment,” said Gill, whose platform has 39 million monthly active users. Her aim is to eventually take it up to 100 million. But there are issues in the very prerequisites of entrepreneurial success: self belief and conditioning, said the speakers. “The stereotype that I see: Women ask for more permission; men ask for more forgiveness. 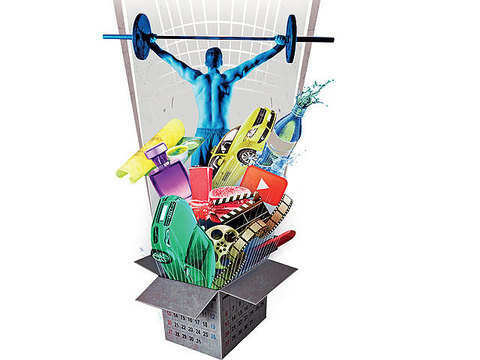 That’s what changes the game a lot,” said Malhotra, adding men and women still sometimes have different approaches to challenging tasks. 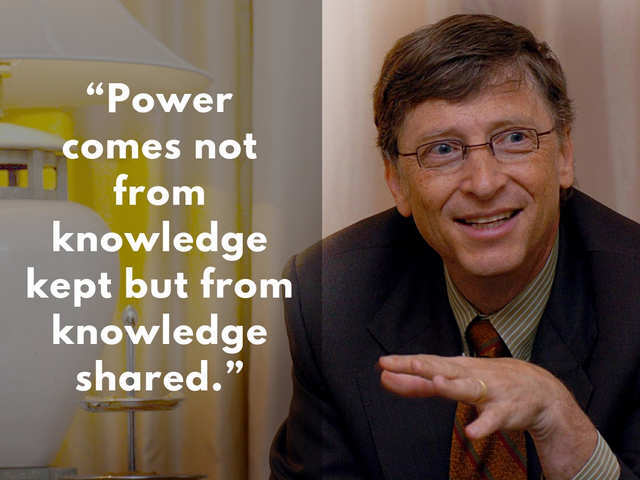 Entrepreneur, visionary, investor, philanthropist - Bill Gates is one of the most inspiring leaders in the world. Entrepreneur, visionary, investor, philanthropist - Bill Gates is one of the most inspiring leaders in the world. 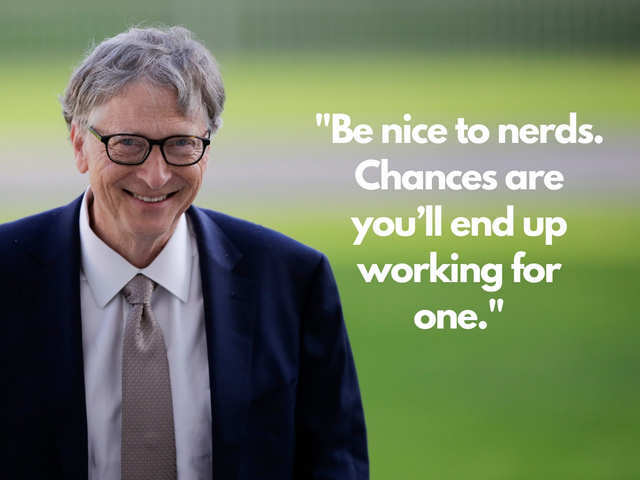 On his 63rd birthday, here's a collections of his best quotes that have the net wort..
Bill Gates believes life has a tendency to just happen because of the choices we make. The life you create and design for yourself is going to accumulate from the choices you make over time. Unexpected things can derail the dreams, but staying focused can help you put one dream ahead of another. To win big, you sometimes have to take big risks. 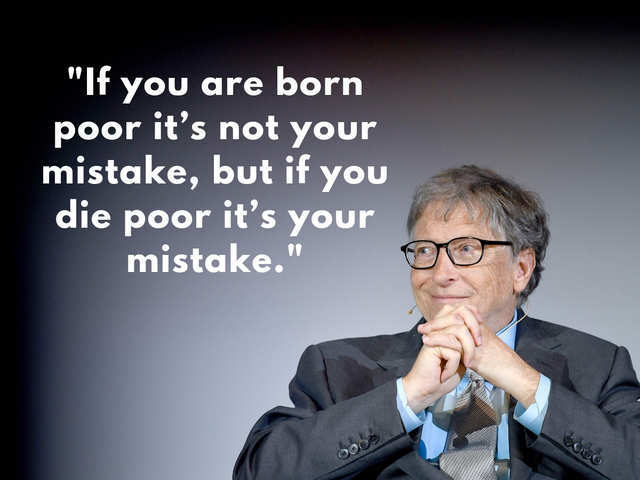 Bill Gates believes life has a tendency to just happen because of the choices we make. The life you create and design for yourself is going to accumulate from the choices you make over time. Unexpec..
Bill Gates spends a lot of time reading. Whether at the office, home, or on the road, he always has a stack of books he's looking forward to reading. As a child, he dreamt a lot. He said that a great deal of that grew out of the fact that he had a chance to read a lot. Bill Gates spends a lot of time reading. Whether at the office, home, or on the road, he always has a stack of books he's looking forward to reading. As a child, he dreamt a lot. He said that a grea.. 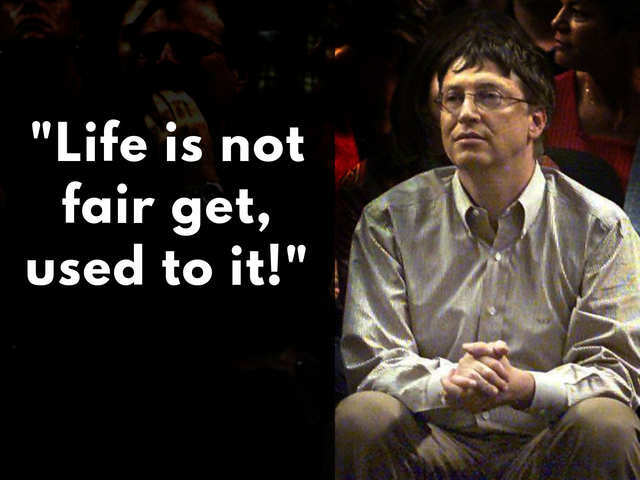 Success makes people arrogant and selfish, but that is not the case with Bill Gates. The 'lousy teacher' success only made him wiser. Gates believes it seduces smart people into thinking they can't lose. While he encourages people to celebrate success, he also wants them to understand the importance of heeding the lessons of failure. 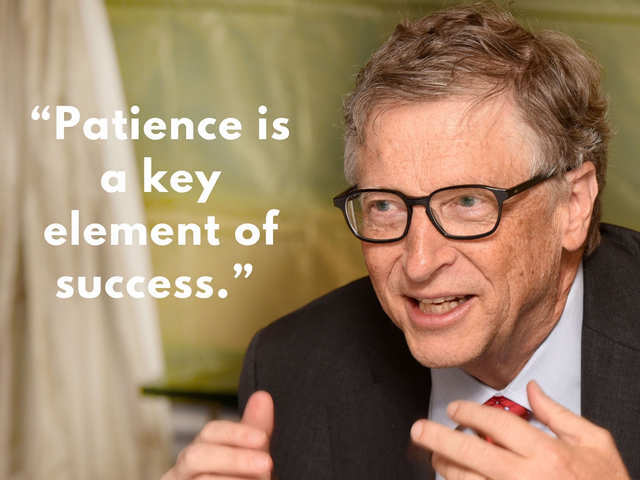 Success makes people arrogant and selfish, but that is not the case with Bill Gates. The 'lousy teacher' success only made him wiser. Gates believes it seduces smart people into thinking they can't ..
Bill Gates call himself a 'geek'. As a child, he had failed in some subjects during his exams, but his friend passed in all. Now, his friend is an engineer in Microsoft, and Gates is the owner. Hardwork and diligence took him to where he is today. Gates also indicated that he didn't take a single day off when he was in his twenties. Bill Gates call himself a 'geek'. As a child, he had failed in some subjects during his exams, but his friend passed in all. Now, his friend is an engineer in Microsoft, and Gates is the owner. Hardw..
Bill Gates once said money has no utility to him beyond a certain point. He has a valid reason to say so, and every one would agree. Having millions of dollars can give you a certain sense of meaningful freedom. But, beyond that, it's the same hamburger people like returning to. Bill Gates once said money has no utility to him beyond a certain point. He has a valid reason to say so, and every one would agree. 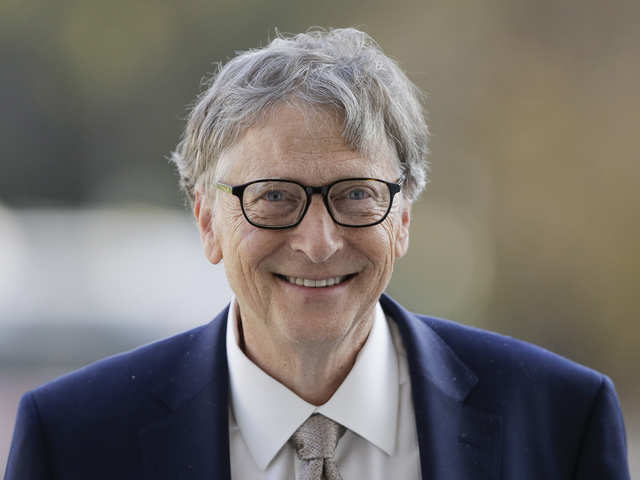 Having millions of dollars can give you a certain sense of meanin..
Bill Gates, one of the top philanthropists in the world, is known for his generosity. He donates a large chuck of his wealth in helping the poor and making world a better place. He believes effective philanthropy requires a lot of time and creativity, just like a business requires focus and skill. 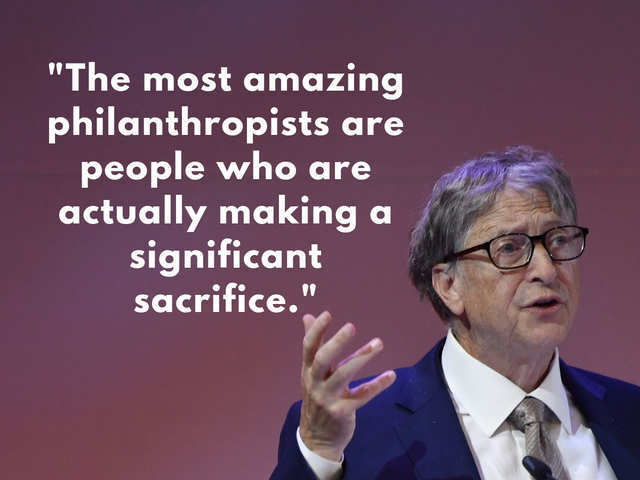 Bill Gates, one of the top philanthropists in the world, is known for his generosity. He donates a large chuck of his wealth in helping the poor and making world a better place. He believes effectiv..
Sethi recalled a woman employee who, when offered a promotion, questioned if she was really “capable” for the post. A woman Gill had offered the post of product head, declined it because she didn’t have prior experience. The paucity of role models is an issue. “I don’t think we have too many women role models to look up to. There are a lot of issues that women in general face that a guy in the room just doesn’t understand,” said Reddy. “Female founders and CEOs build companies when women feel supported, encouraged and they are given space to grow. 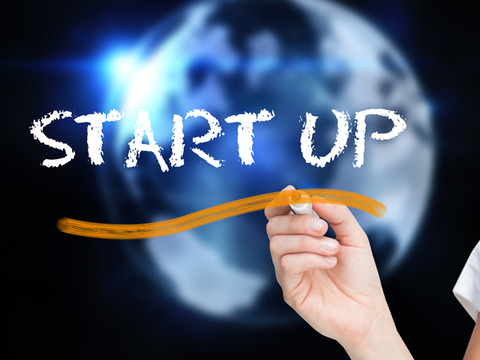 Change actually happens when male founders and CEOs do the same,” said Gill. But that’s changing too. “For domestic and international investors, their focus on gender diversity within the firm is very high, which is good and brings the recognition to a higher level,” said Sethi. 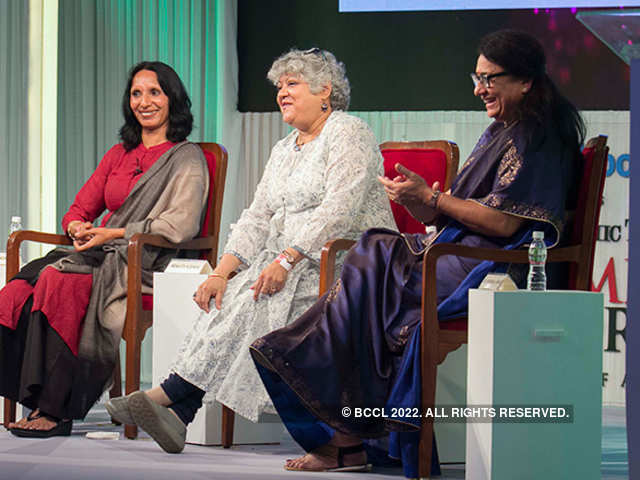 This panel was moderated by Archana Rai, editor-south, ET. 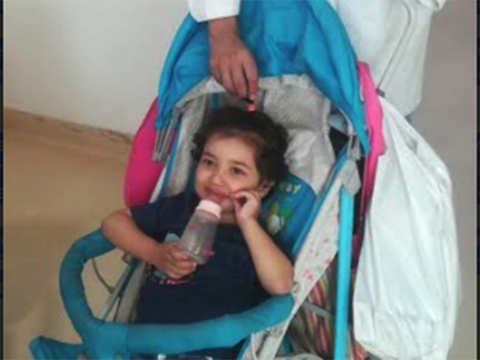 Zeejah had underwent a complex surgery in India in 2016 for a big hole in her heart but had developed complications again with catastrophic consequences if a surgery was not repeated immediately. While the city still has a long way to go, entrepreneurs are buzzed about the upcoming summit, which they believe would open several doors for the city and its entrepreneurial ecosystem. Prime Minister Narendra Modi called on those responsible for upholding ethics in financial institutions to fulfil their duties sincerely. The common sentiment among the speakers was that it is important to build the business with capital efficiency, when discussing the topic 'Thriving and building a business in a hyper competitive environment'. 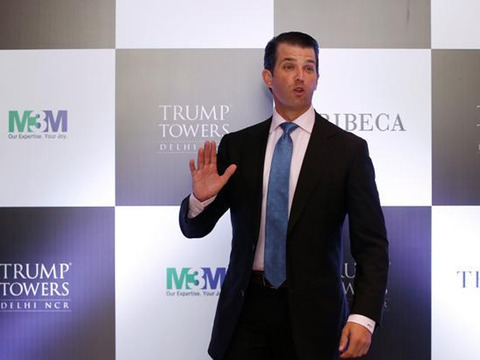 He was replying to a question during a meeting with senior editors on why Trump Organisation choose to build ultra luxury apartments in India first than in China. 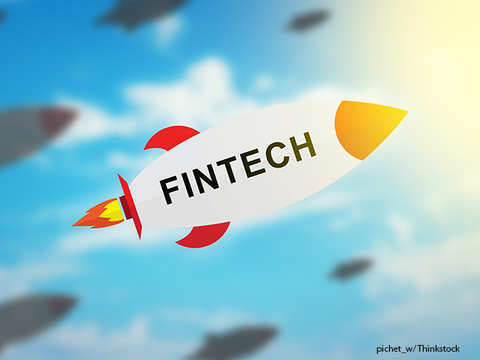 While Bengaluru has led the ecommerce and technology revolution in the country, Pune with its strategic location could emerge as the fintech incubation centre for India. 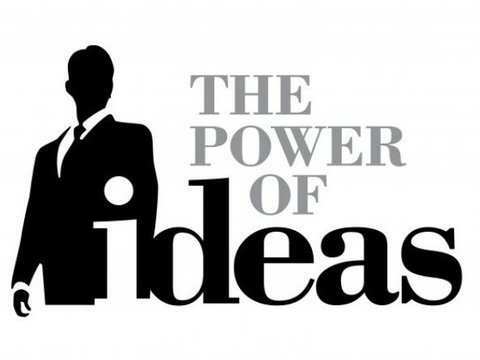 At The Economic Times Power of Ideas event in the city on Wednesday, panelists from a cross-section of the startup world--entrepreneurs, investors and academia--discussed this transformation of Chennai's business landscape threadbare. 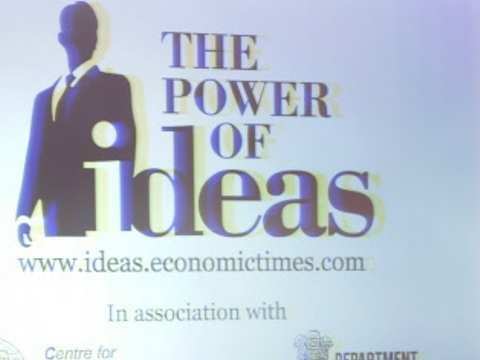 At a round table discussion at The Economic Times The Power Of Ideas event in Ahmedabad, startup founders and investors came together to emphasise the necessity of strong unit economics.